Forests and other wooded land cover about 40% of the EU territory, and the forest sector provides more than 3.5 million jobs in the European Union. The forest value chains are engines of rural growth and generate other benefits to society, including societal benefits for human health, recreation and tourism. 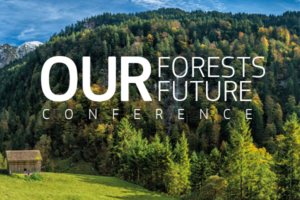 the Commission is organising a conference to analyse and discuss opportunities and challenges for enhancing the contribution of the forest sector to the main EU priorities. High-level speakers will include Commissioner Hogan (Agriculture & Rural Development), Commissioner Arias Cañete (Climate Action & Energy), Commissioner Mimica (International Cooperation and Development), Minister Deneş (Romanian Minister for Water and Forests), Minister Pivec (Slovenian Minister for Agriculture, Forestry and Food), and high representatives of the private sector, academia, civil society and non-governmental organisations. More information here on the programme. Registration before April 19th.